eBay SONY PSP 2001 Handheld System STAR WARS DARTH VADER Edition WHITE w/ Charger! 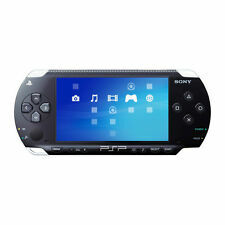 eBay Sony PSP 3000 Handheld System w/ wall charger & 128gb Memory Card Top EMULATORS. Further Details Title: BLAZING SOULS Catalogue Number: PSP AKS 00139 Format: PSP Condition: New Missing Information? Please contact us if any details are missing and where possible we will add the information to our listing. PSP Go AV Cable Product Features AV Cable for PSP Go. Use with your TV Compatible with PSP GO Standard Audio/video jacks 7 ft long Produces higher quality video Product Description Transmit a clean, superior signal from your PSP GO to your television with this AV Cable from CTA Digital. On one end of the 7 ft cable is a connector that connects to your PSP GO, and on the other end are the color coded audio/video jacks. Simply by connecting your PSP GO to your TV with the corresponding jacks, you are ready for a more appealing and high quality game play.